Cape Cod Mustang started it's life at Tango Classic Automobiles in Bellingham Massachusetts in 2001 and brings together buyers, sellers and enthusiasts of 1965 through 1970 Shelby Mustangs. In 2007, Bret Matteson purchased Tango Classic Automobiles from Jeff Taylor, CEO and founder of Monster.Com. 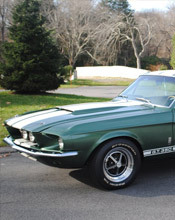 Bret has been a long time Shelby owner and his interest in original Shelby Mustangs started with the purchase of his first Shelby, a 1967 GT 350. Shelby Mustang.Com is not affiliated with Shelby Auto's located in Las Vegas Nevada or Carroll Shelby Enterprises. CapeCodMustang.Com's focus is locating used and abused 1965-1970 Shelby Mustangs and bringing original Shelby Mustangs back to life. 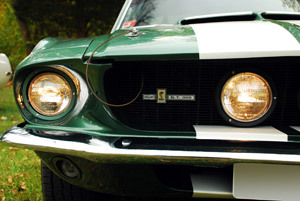 We are not a dealer or endorser of Carroll Shelby's automobiles from the post 1970 era. We are not a dealer of any Carroll Shelby merchandise and strongly support Mr. Shelby's Children Foundation.